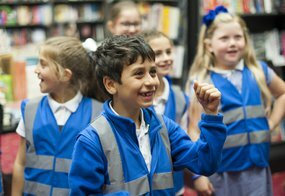 Comedy improvisation is an excellent way to improve children’s speaking and listening skills, build their confidence, develop their creativity and proactivity, and get them working together as a team. It also serves as a great hook to engage harder to reach children and as a safe space to encourage quieter children to come out of their shell. Try these comedy improvisation activities in your class, launched to coincide with Comic Relief's Red Nose Day on 15 March, to get your Key Stage 2 pupils working together to make up comedy scenes on the spot, whilst they develop their speaking and listening skills. If your class likes comedy, then they may be interested in the Beano's Britain's Funniest Class competition.